These sites will help you plan and remember your homeschool support group field trips. Two forms per page to print out and distribute to your homeschool group for field trips. Carroll’s book covers everything you need to know to discover great places to go, plan your field trip, publicize it, and learn from it. She also covers bringing interesting visitors to your group, if travel for all would be hard. Checklists included for planners. Though for a college, this form could be modified for a homeschool group and used by members to assess the risks involved in the trip that is being planned. This would be good for a group that included those with disabilities, allergies, etc. Lots of suggestions about using digital invitations for organizing field trips: evite, meetup, google docs, PayPal, etc. For time management or for finding patterns in your trips, use this annual form to get an overview of your field trips. You can fill out this form online if you wish, or print out. In addition to keeping brochures of each location in our annual portfolios, I thought it would be worthwhile to keep some kind of log of all our travels…or better yet, for the children to keep a log. After searching on-line for a log of this sort, I decided that it might just be easier to make one from scratch. Date. Where we went. Three things the I learned. My favorite part of the trip. I want to learn more about. From Oklahoma Homeschool.com. Room for photos and a description. After a field trip, we always come home with a plethora of brochures, postcards, maps, and pamphlets. 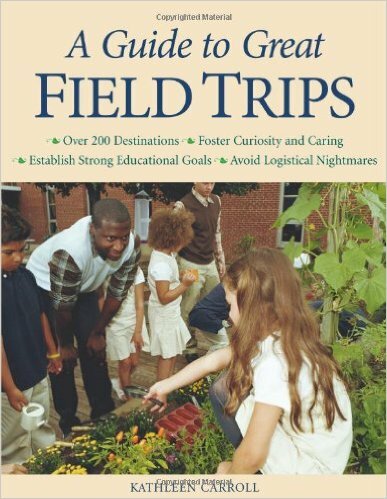 Make use those items to create a field trip report! Example of a liability and statement of responsibility form to help you create your own.